Budding battle royale players in Thailand will no longer have to pay the entry fee to PlayerUnknown’s Battlegrounds, as a free-to-play ‘lite’ version of the game has launched in beta. This new version of the game is a stripped-back experience, featuring only two maps – Erangel and Miramar – with options for Solo, Duos, and Squads modes. The game’s system requirements have also changed, supporting low-end systems and opening up new options to play on non-gaming systems, or even in settings like internet cafes. The game can be played on systems with the following specs or better: Core i3 2.4GHz CPU, 4GB RAM, Intel HD Graphics 4000, and a 4GB HDD. PUBG Mobile has been available for free for some time now, so a free-to-play low-spec version isn’t a total surprise. PUBG Corp is doubling down on new content and ways to play PUBG, in the wake of stiff competition from the likes of Fortnite and Ring of Elysium, both of which can be played for free on PC. PUBG Lite is a separate product from the PUBG on Steam, meaning Lite players won’t be able to play with friends in the full-fat version. According to Game Informer, the game does appear to support other regions, although it has only been publicly announced for Thailand. Thus, you could technically play PUBG Lite today, but you’d have to use a VPN to do so. 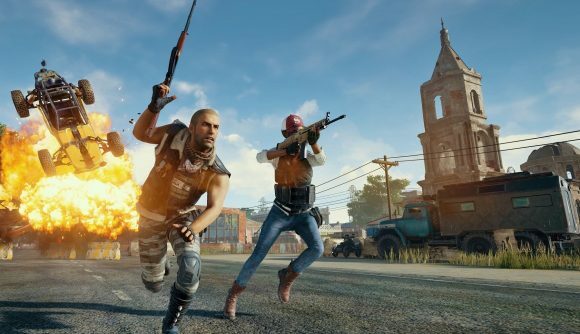 Read more: PUBG is one of the best battle royale games. That said, it’s certainly possible that PUBG Lite will get make its way to Western territories, given the sheer amount of competition in the battle royale space.